Fruitless Pursuits: Half Hour History Episode 9: Moondyne Joe! 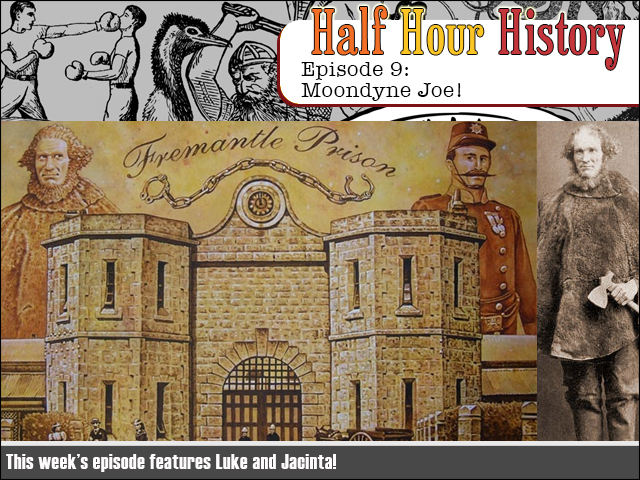 This week we learn all about notorious West Australian bushranger/escape artist extraordinaire Moondyne Joe who, quite frankly, was probably just having a bit of a laugh, because the olden times were super boring. He had a shock of ginger hair and an attitude to match! It's LEARNING TIME!